Since I’ve had a busy couple of weeks and haven’t had much chance to write, as I wait in the Philadelphia airport for my flight to Paris via London, which was delayed for 6 hours and I wasn’t notified to make other arrangements (sigh! 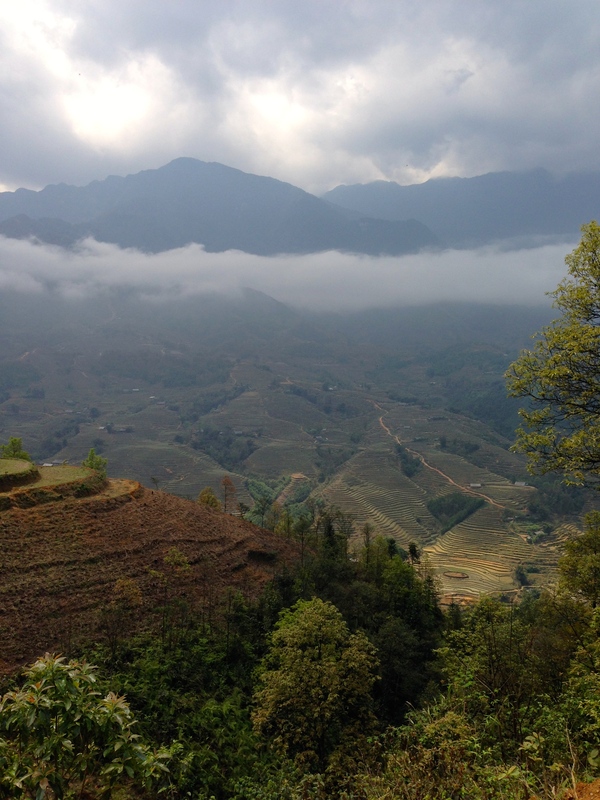 ), I will take this time (and the free wifi with my complimentary Club pass) to finish my post on Sapa. This will be a little different than my normal travel posts, so read on. Three days of hiking and two nights on local farms seemed like the perfect way for two stressed out New Yorkers to unplug before commencing the luxury part of a two-week vacation in Vietnam. After reading glowing online reviews, we chose Ethnic Villagers, a Vietnamese company, for our tour – hoping for a more authentic experience. But this wasn’t at all what we’d expected. After a few winks of sleep on a rickety 10 hour overnight train from Hanoi and a short drive, we arrived at a hostel in Sapa, where we met up with two French women, both nuclear engineers, and a retired German couple in their late 60s. 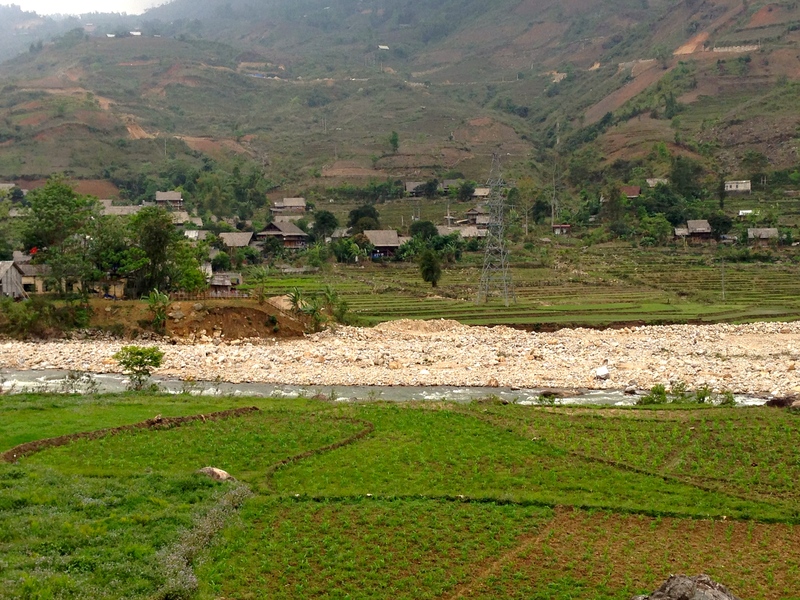 This was the starting point for our hike through the rice fields in the northwestern corner of Vietnam near the Laos border. 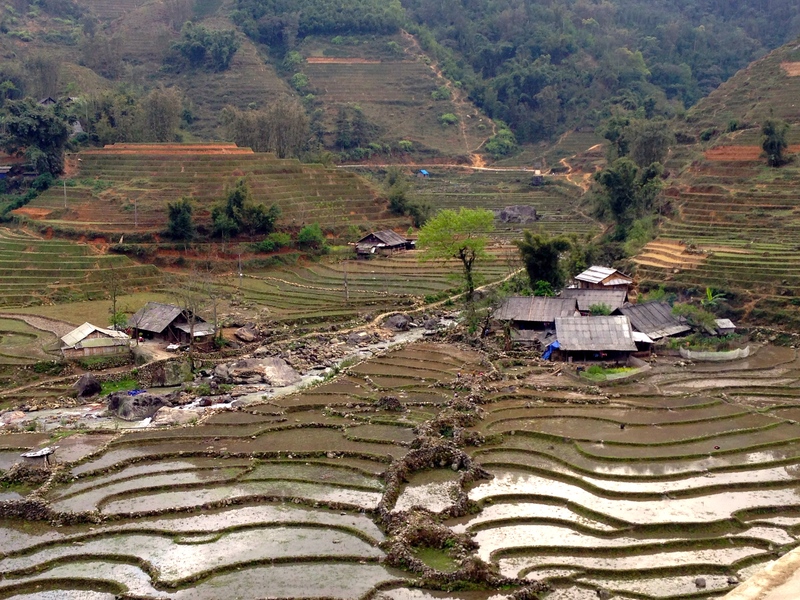 After an intense and beautiful 12km hike through the rice patties of the Muong Ho valley, we arrived at the home of the local family with whom we’d be staying — and the elderly German couple decided they’d had enough. They went back to town to sleep in what they figured would be more comfortable environs and do some shopping. But the hairdryer and Western toilet confirmed we wouldn’t be roughing it either. And that’s when the garlic fries arrived. Plate after plate arrived at the table. First it was the garlic fries. Then shrimp spring rolls. Beef pho. Tofu with lemongrass and chili. Stir fried chicken with carrots and onions. Fried rice noodles with pork. Mustard greens. And the obligatory bowl of steamed rice. Finally the ripe watermelon appeared, and the feeding frenzy was over. 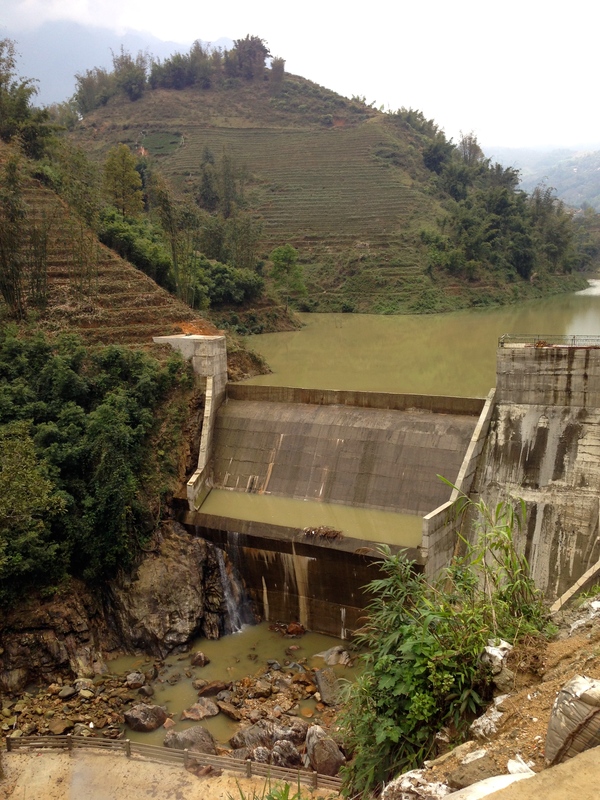 Here, in the shadows of a hydroelectric plant, the Sapa region is thriving, thanks to a booming tourist industry. Presenting the visitors with a feast is perhaps the most tangible way of displaying the bounties of this developing country. But tourism is destroying the area, even more than the power plant. Almost every family lives in a wooden stilt house, with rows of beds for backpackers and tourists seeking an authentic experience of life for the village people. Instead of a rustic lifestyle, there’s cable TV and ample hot water. 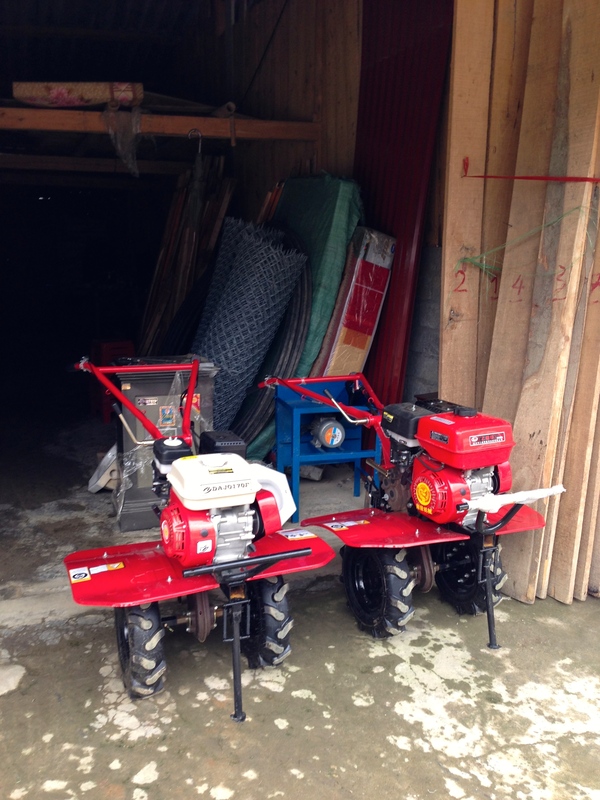 Commercial farm equipment is used to tend the larger rice patties. 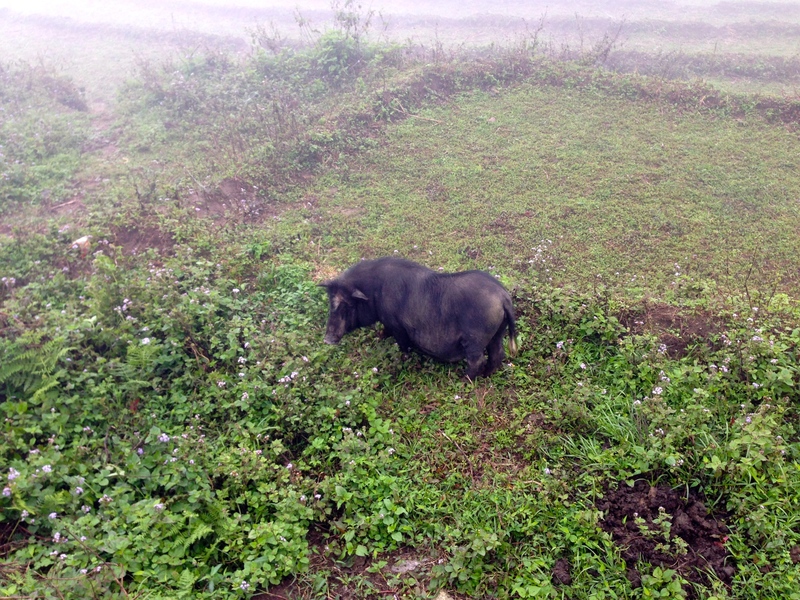 and wild boar graze nearby. 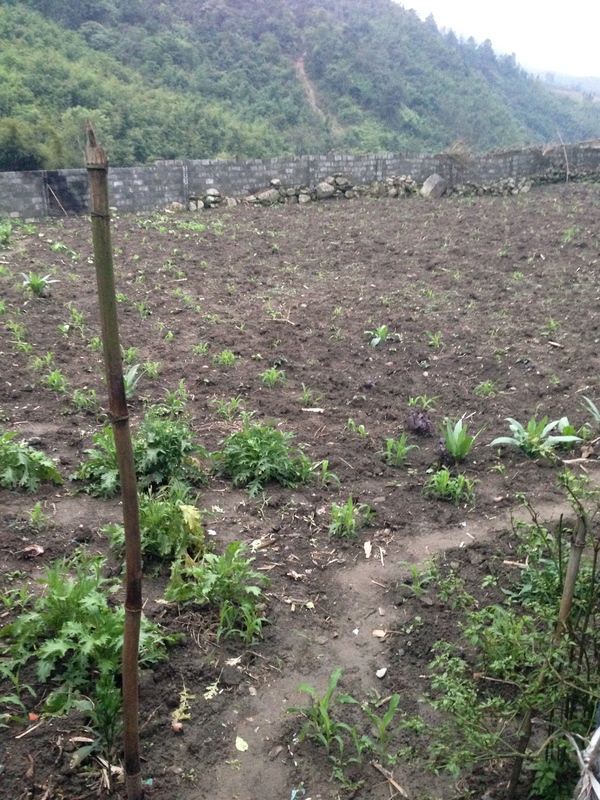 Our “farmstay” consisted of a rooster, some chickens, a pig and a small garden area with little more than cabbage and coriander. 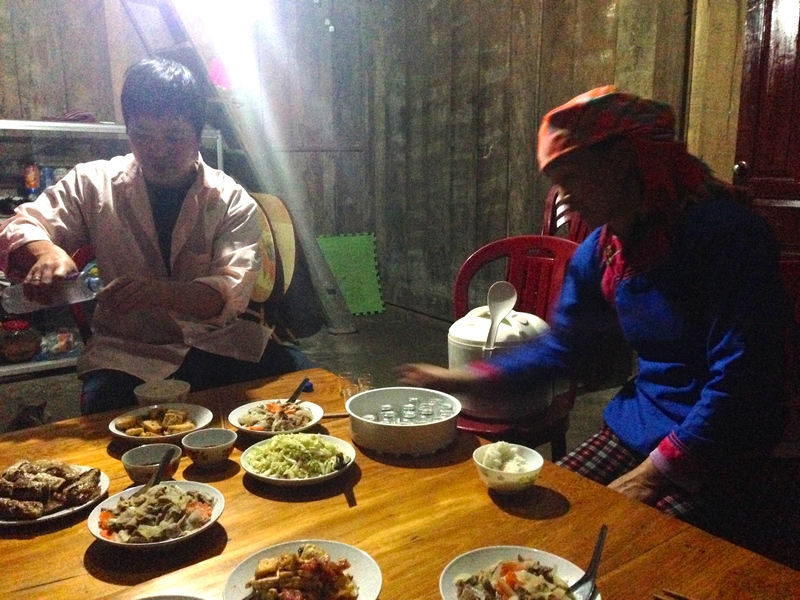 At least that first night, the family ate with us, after the wife taught us how to make spring rolls. This part of the experience was a lot of fun. We naively thought the rest of our mealtime experience would include the family with whom we were staying. Instead, we had banana crepes for breakfast, while the family ate what was left from the prior night’s dinner. But we still had a beautiful and challenging hike – complete with me falling in the mud 3 times and holding onto bamboo to get to the main road- that made it one of the most memorable experiences of my life. Dietary considerations are given as a reason for the excessive amount of food options. Vegetarians, gluten allergies and religious restrictions may require alternate food options or prevent dishes from being combined. But none of that applied to our group, and there was enough food for an army. We tried to obtain an explanation as to why so much of each type of dish was needed, but it was lost in translation. At least we were assured the leftovers wouldn’t go to waste. This was small comfort when faced with the reality that our good intentions were destroying the local environment. 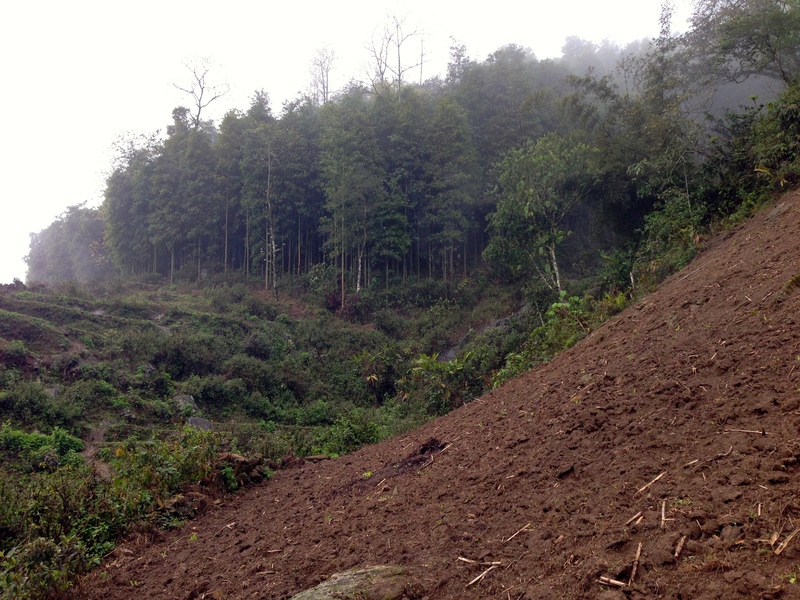 As we hiked through the hills, we saw forests being decimated to build the farmstays. 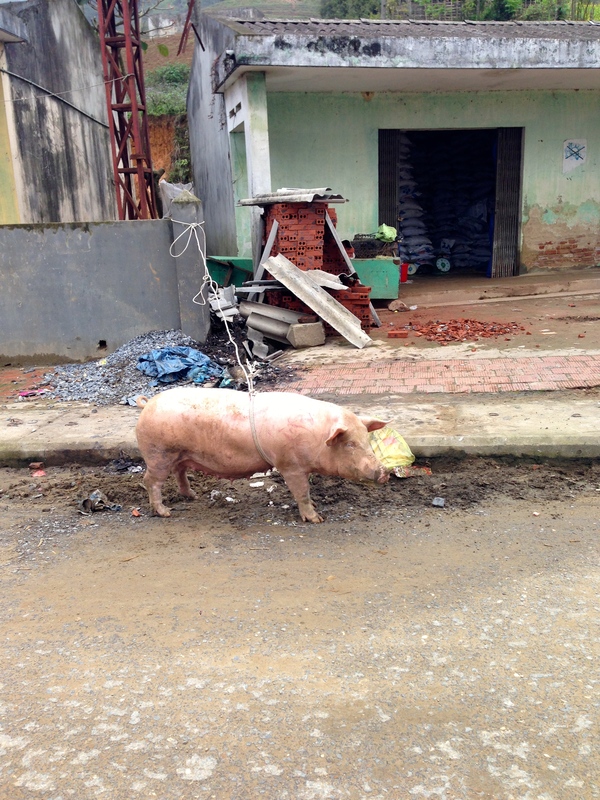 To feed the pigs, cornfields were replacing rice patties. And the local rice is bartered for the less plentiful and pricier vegetables, like carrots and onions, present in almost every tourist dish, though rarely found in typical Vietnamese cuisine. 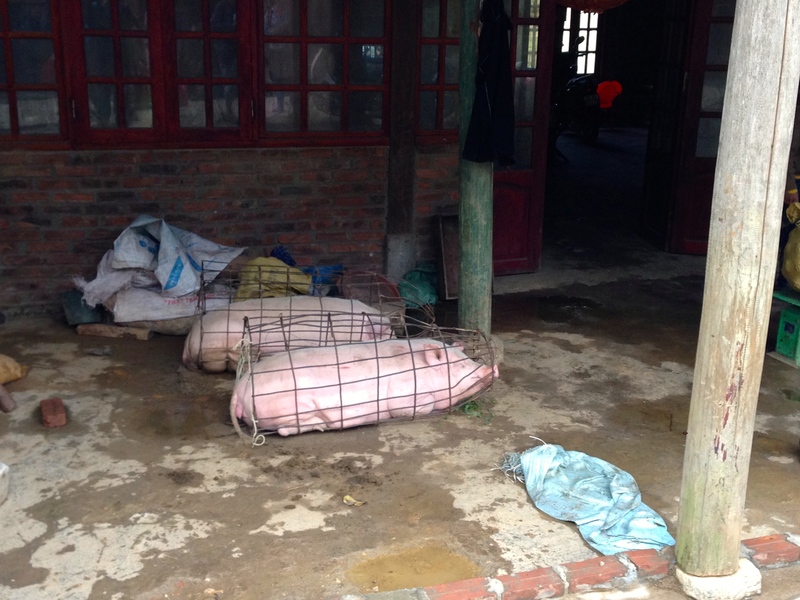 Tourists seeking to stay on a local farm expect to eat what is grown on the farm. We’d be satisfied with one bowl of vegetable pho for lunch – if rice patties aren’t replaced with corn planted to feed cattle. And we’ll gladly stay in your house and not a glorified hostel – if de-forestation ceases. Note that women are doing most of the work to maintain the farms and are the tour guides. Unfortunately, conservation seems a minimal consideration from Halong Bay to the Mekong Delta. 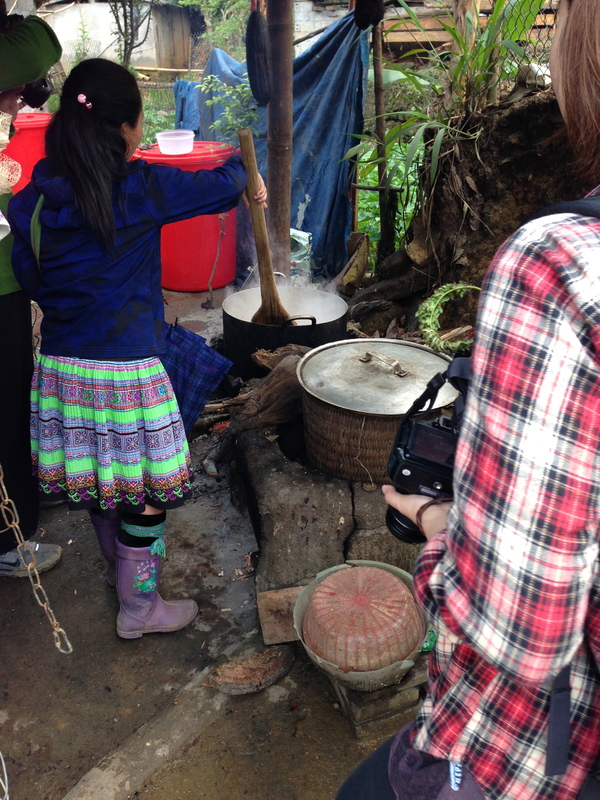 An abundance of food was the norm for all tours we took in Vietnam. There is a fundamental disconnect between what eco-conscious tourists want and what’s offered. 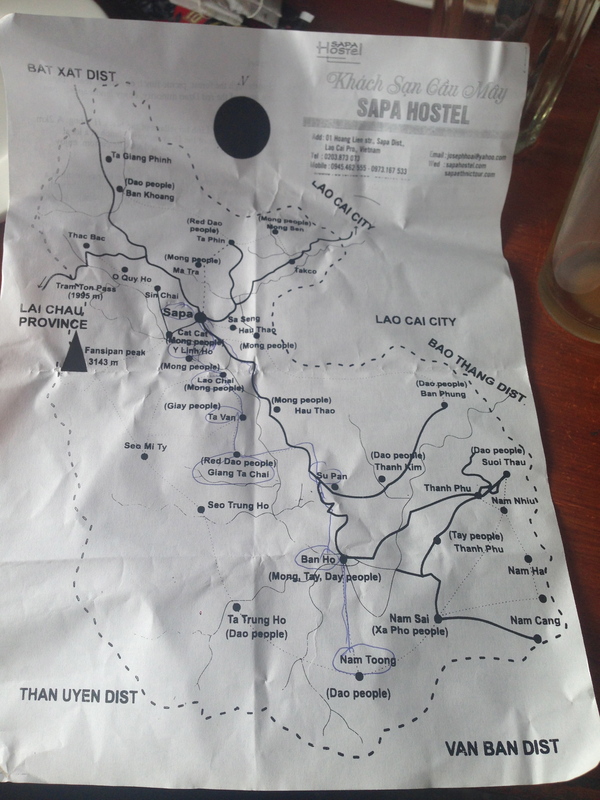 But in Sapa, the problem is highlighted as the reasons to visit the area are obviously dwindling. 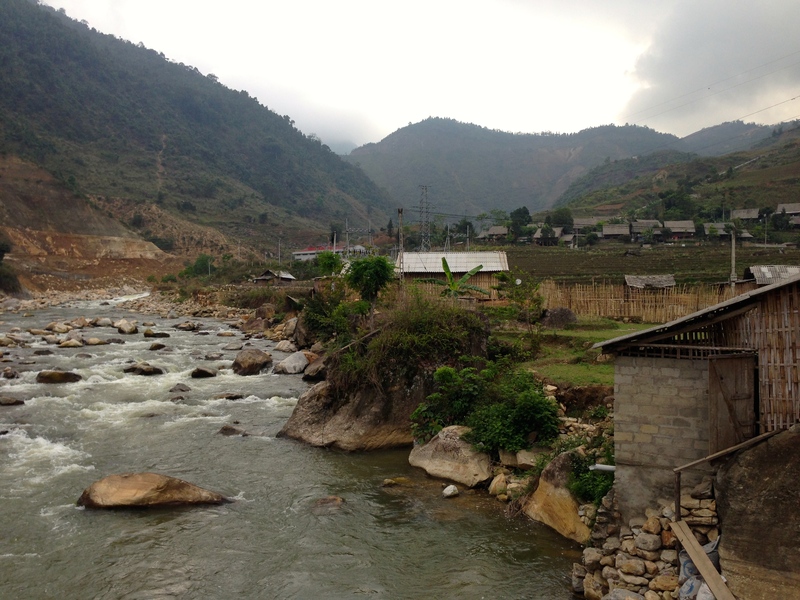 Five hydroelectric plants were planned for this region. Currently, one plant is functioning, and there’s a visible impact on the scenery. 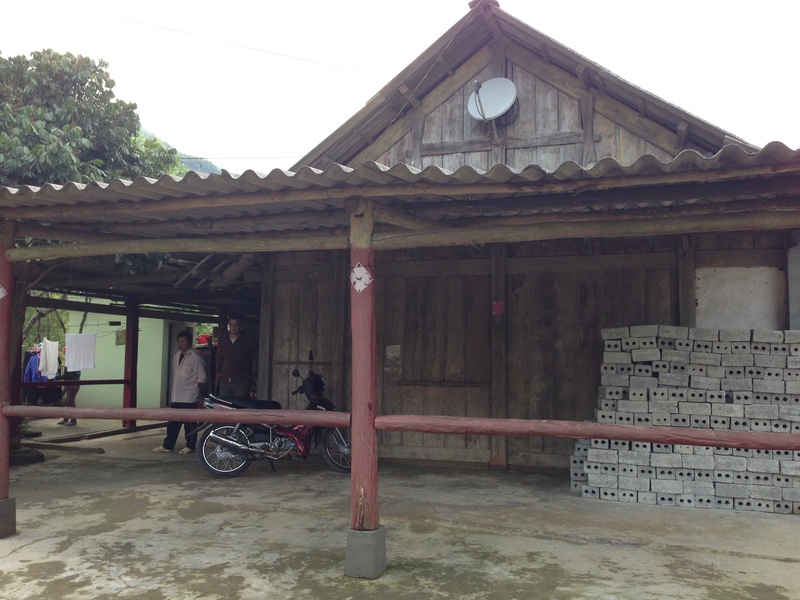 Housing for workers to build the plant was constructed on top of rice patties. Now a road is being dug into the hillside to accommodate large trucks. At present, the tourism industry seems to have successfully pushed back on additional powerplant construction noting that the number of tourists declined 80% in 2012 from when the work commenced in 2006. Yet it seemed to us that the consequences of tourism are equally destructive. 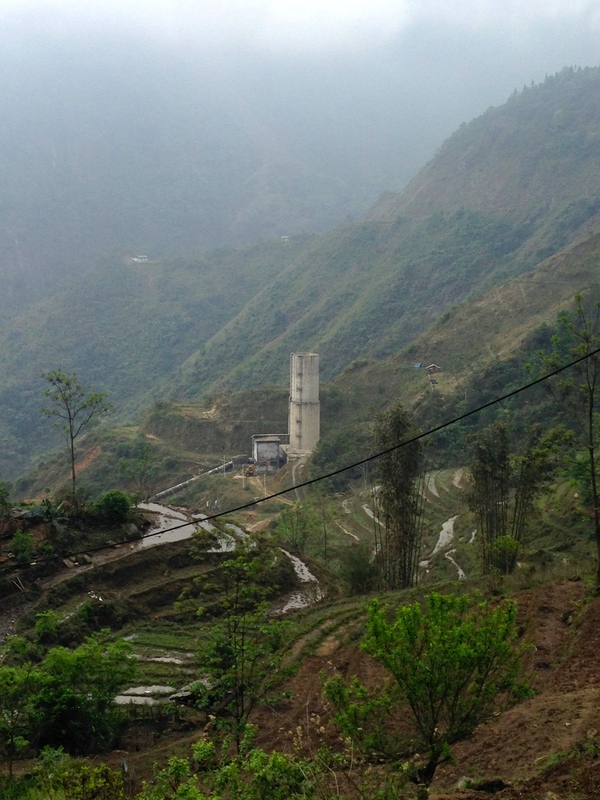 In the main town of Sapa, a new giant hotel designed to look like a rice patty is under construction on the side of the road that leads to the valley. 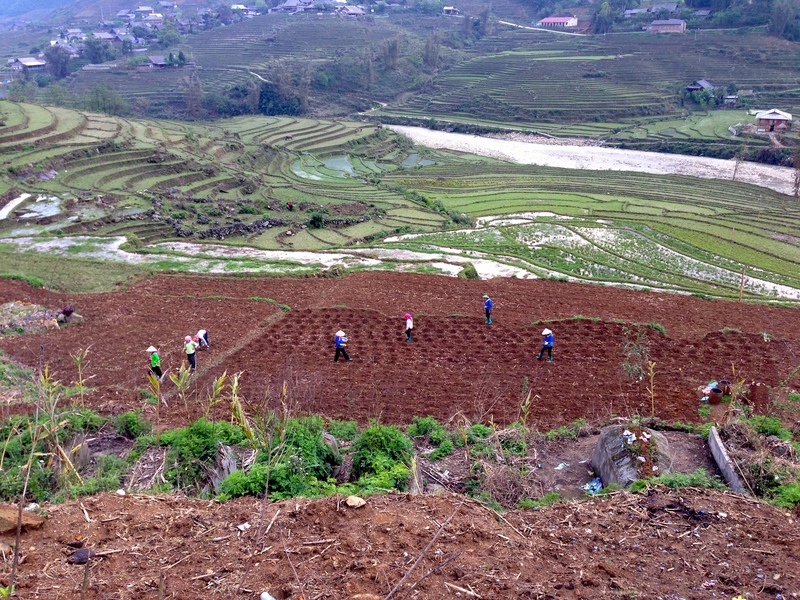 But if conservation doesn’t become a priority, the guests might not have many rice fields to view from the hotel. And the birdcages everywhere are part of a superstition that birds bring luck– along with pink ribbons for the New Year. Our guide also pointed out several primary schools where the children are taught until they’re old enough to get jobs as tour guides or laborers (English is not taught in schools – it’s learned from the tourists). You’re encouraged to donate funds to the schools, which are a big focus of the hike, lest you think that this is an animalistic society, despite the women with red dots on their heads from buffalo horns that they use to treat headaches. 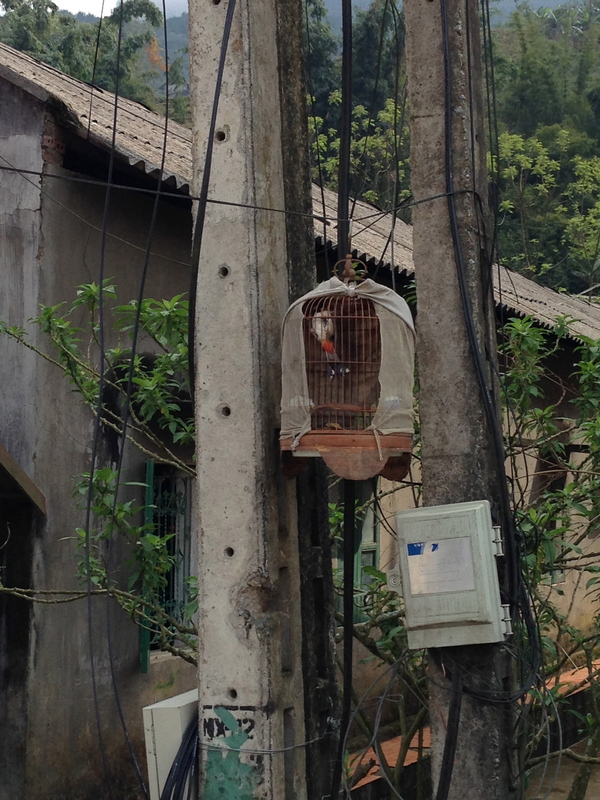 In Sapa, the traditions of the past co-exist in the face of an influx of industry, technology and money… at least for now. GOD blessed day to you! I am Shekinah and I am currently working on a research study about the ecoutourism in Sapa and its effects on the environment of Sapa. As I read your post, I appreciated it very much that you did not sugar coat any of the facts that you saw, thank you. Your blog gives me new information that are very much helpful and are a lot of those are not in the blogs that I have read so far. 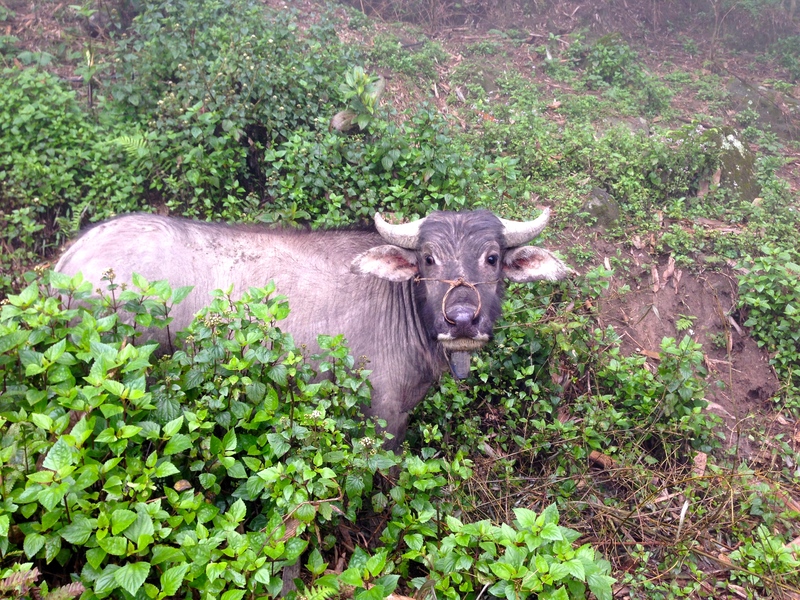 I am very much interested to ask you some more questions that I believe a tourist who have experienced and have seen this part of ecotourism in Sapa firsthand can answer. Sir/ madame, if I may have for some of your precious time, I would be honored and it would be very much appreciated, so, if you are willing to, please do leave me an email. Thank you once again and GOD bless you!